Could bamboo replace carbon fiber in many common auto-industry applications in the near future? Could the cheap, lightweight, renewable material preempt the mainstream use of the high-tech but expensive material? Could the economic advantages inherent in the material prove themselves too good to pass up? Surfboard manufacturer Gary Young uses bamboo in his boards already, and he told the news services that he felt bamboo had the potential to replace carbon fiber in automotive applications. Young’s surfboards use a special bamboo weave combined with an epoxy coating that has proven to be strong and light, but not brittle. While it may not be strong enough for all automotive applications, bamboo parts would have a few advantages over comparable carbon-fiber items. At just pennies per pound, bamboo is much cheaper. It’s also truly renewable, with some species growing almost 40 inches per day. Another notable advantage with regard to environmental pollution is that the dust from the manufacturing process decomposes relatively rapidly, as compared the dust from carbon fiber manufacture, or the manufacture of other synthetic materials, which instead simply sit in a landfill somewhere for a very, very, very long time. 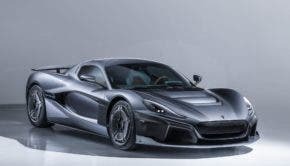 Another advantage is that, while carbon fiber can go a long way in the reduction of vehicle weights — and subsequently, fuel-use — the material’s total environmental impact is not insignificant, as has often been noted. Is it really “environmentally friendly” for BMW to create a carbon fiber reinforced plastic (CFRP) body shell for the 2014 BMW i3 from a material imported from Washington state? A process that takes more energy than the construction of a conventional stamped-steel shell. Or course, as BMW notes, while it takes more energy to build a vehicle like the i3 than it does a conventional model (perhaps), the overall lifetime emissions are lower. But perhaps a material like bamboo could be an alternative? Providing the best of both — relatively cheap costs, and a light, fuel-efficient body. An interesting idea, what do our readers think? On a related subject, while bamboo hasn’t been used in the construction of cars much to date, bikes are another matter. We recently covered just such an interesting application — Boo Bicycle’s lightweight and sturdy bamboo/aluminum hybrid bicycle. The only downside to such a bike (and most other such bamboo bikes to date) is the high price — as such bikes have mostly been geared towards the high-end crowd. Hopefully cheaper alternatives using the material become more common in the coming years. Bamboo has many benefits. It seems only a matter of time before it’s more commonly used within our vehicles.